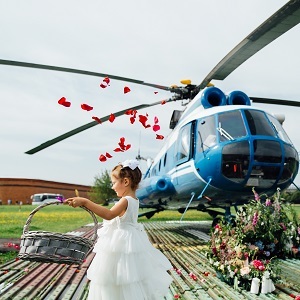 The airline "Baltic Airlines" offers a new unique service - a wedding on a helipad in the Peter and Paul Fortress with the departure of a representative of the registry office. bring you and your guests by helicopter to any place where there is a helipad. (departure possible from Pulkovo or Peter and Paul Fortress). 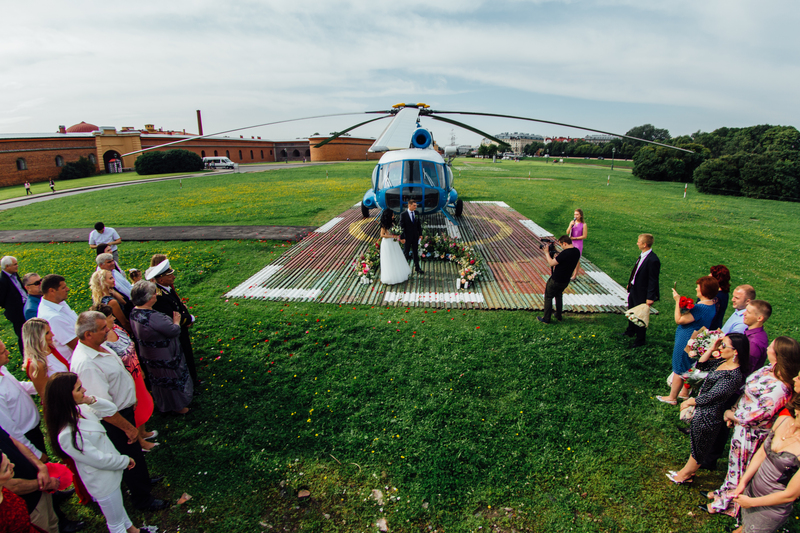 provide a helicopter pad in the Peter and Paul Fortress for the celebration. Departure from St. Petersburg - Pulkovo and Peter and Paul Fortress. The possibility of landing an aircraft in the Peter and Paul Fortress and holding a wedding ceremony on the site. 1 Hour of flight by helicopter 150,000 rubles. 3 Motor boat rental - 5 hours 57,000 rubles. 4 Decor near the helicopter 17,000 rubles. 5 Photographer - 12 hours 33,000 rubles.